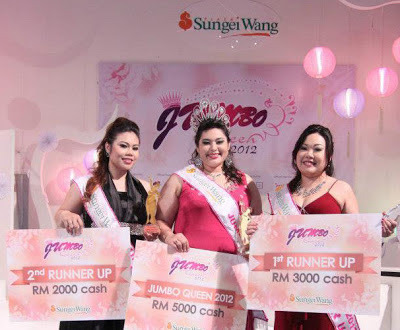 This is the winner list of Sungei Wang Jumbo Queen Contest 2012. Champion: Siti Aishah Abu Asan (Honey Aisha), 127kg, 31 years old. 1st Runner Up: Adelyn Lee Sook Teng, 86kg, 27 years old. 2nd Runner Up: Yuhanis Nazira Ismail (Meow), 88kg, 23 years old. 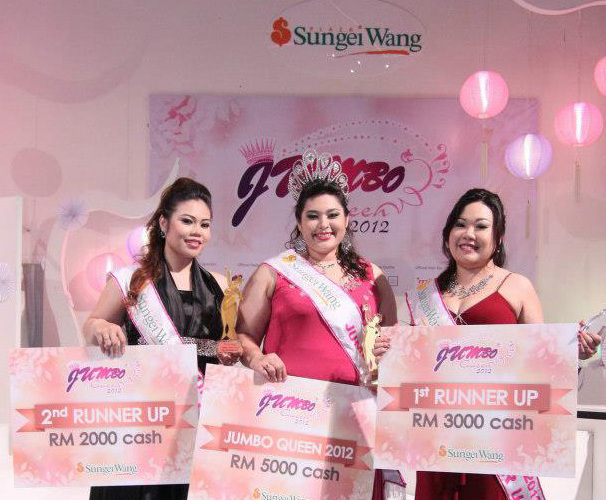 Click here to view the detail of Sungei Wang Jumbo Queen Contest 2012. 3 simple steps for you to win a new iPad. View the contest detail here.